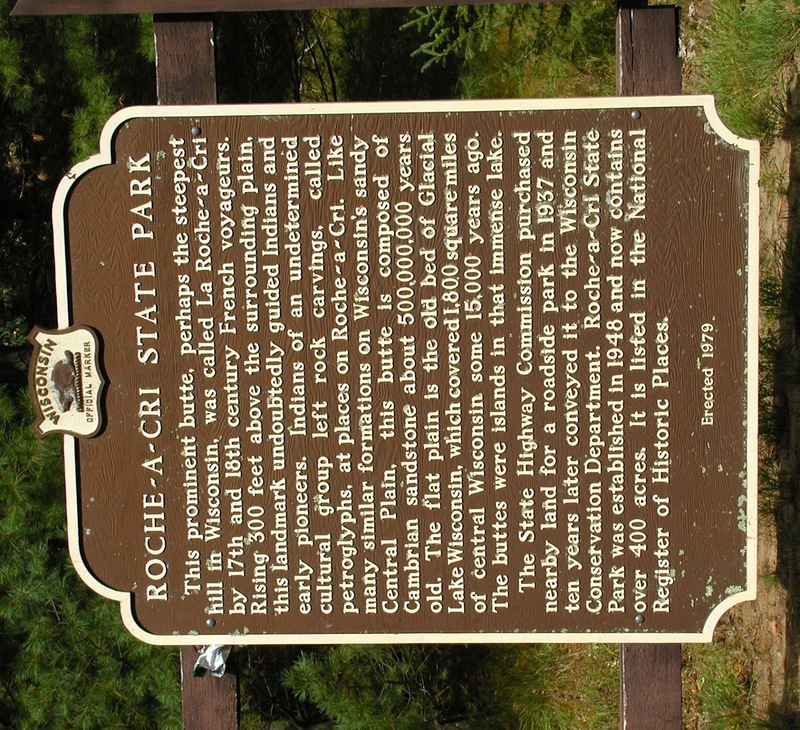 In the book 101 American Geo-Sites You've Gotta See, one of the sites listed for Wisconsin was Roche-A-Cri State Park. 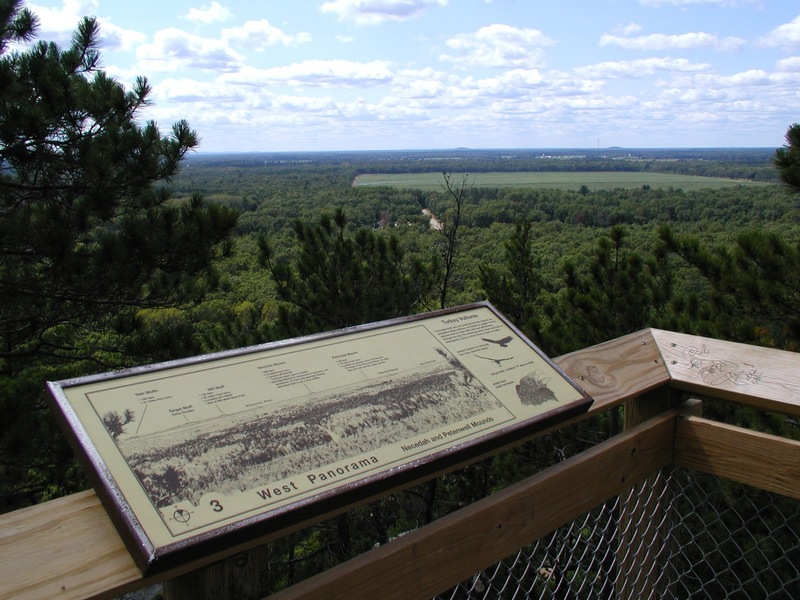 Roche-A-Cri is a 300-foot, bedrock mound that rises above the Central Plain, formerly the floor of Glacial Lake Wisconsin during late-Wisconsin glaciation. The bedrock mound is comprised of Cambrian sandstones deposited by braided river channels. 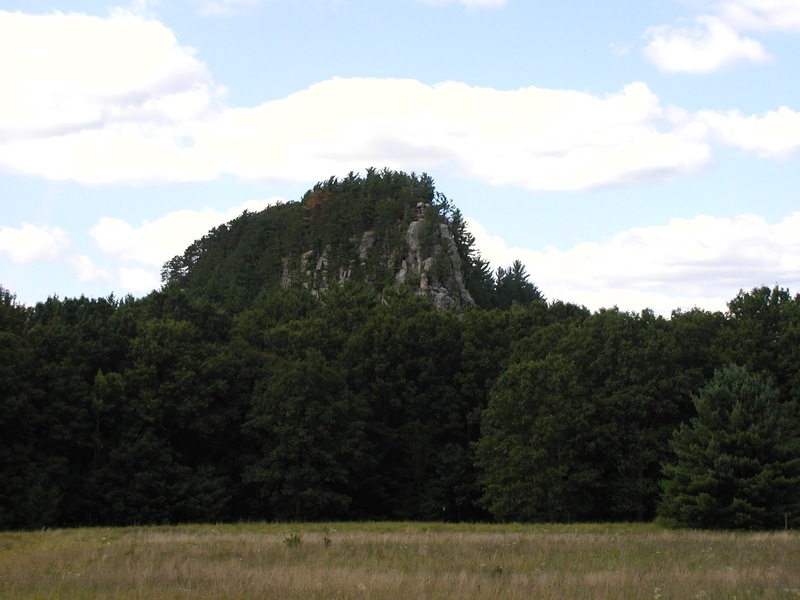 Roche-A-Cri translates as "crying or shrieking rock", perhaps a name referring to the hawks that next within the crevices of the mound. 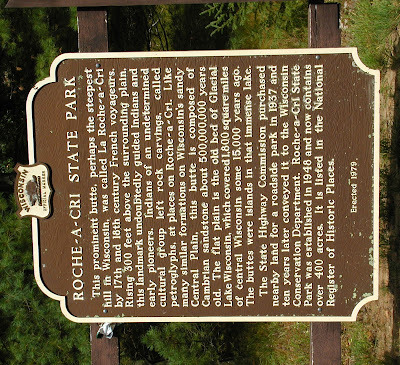 There are numerous vantage points alongside country roads to view Roche-A-Cri. 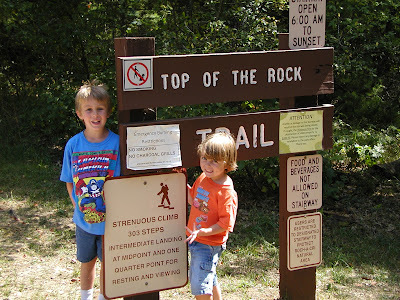 Reaching the top of Roche-A-Cri requires climbing 303 steps, in two places, resting platforms are provided. The picture below shows the view visitors can expect while climbing the 303 steps to the top. 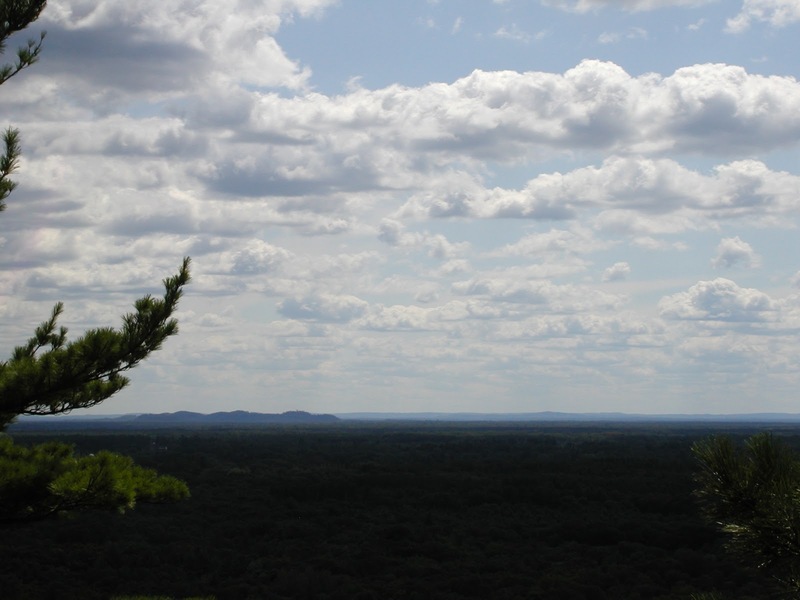 The viewing platform at the top of Roche-A-Cri provides great views across Glacial Lake Wisconsin's former floor. Glacial Lake Wisconsin existed between 18,000 to 14,000 years ago. 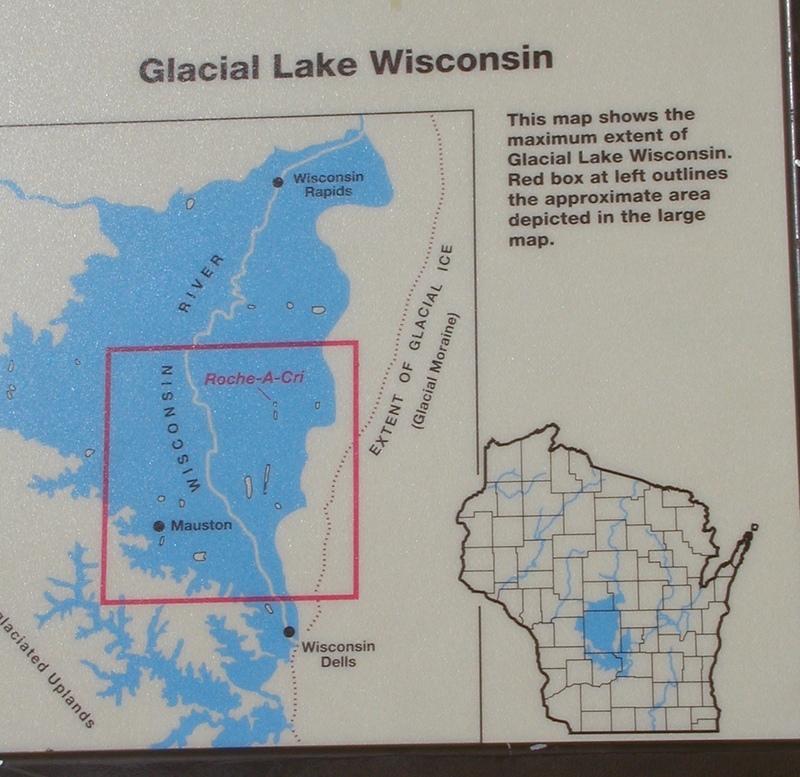 This glacial lake formed as the Green Bay lobe approached from the northeast and blocked the early Wisconsin River near the Baraboo Hills. 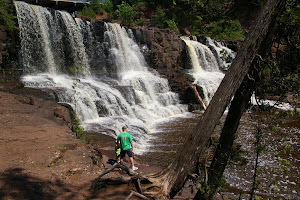 As the climate warmed, the lake water again found an outlet path through the Baraboo Hills and Glacial Lake Wisconsin catastrophically discharged in a period of a few days to weeks, forming the Dells of the Wisconsin River. 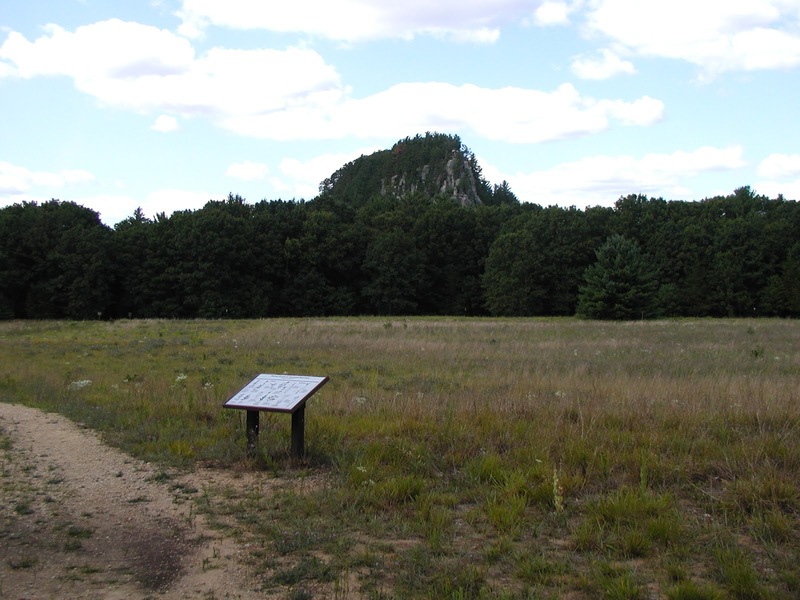 Found throughout the former glacial lakebeds are numerous bedrock mounds, including Roche-A-Cri. 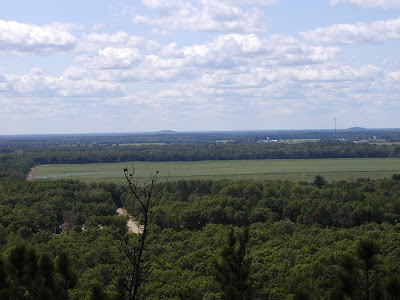 These mounds would have been islands sticking out of Glacial Lake Wisconsin. 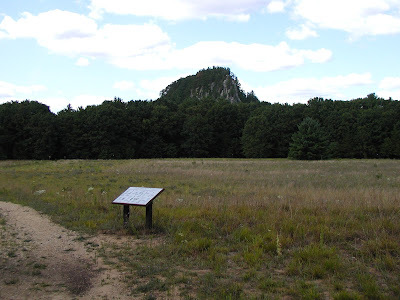 All of the mounds have steep slopes that formed by wave erosion. 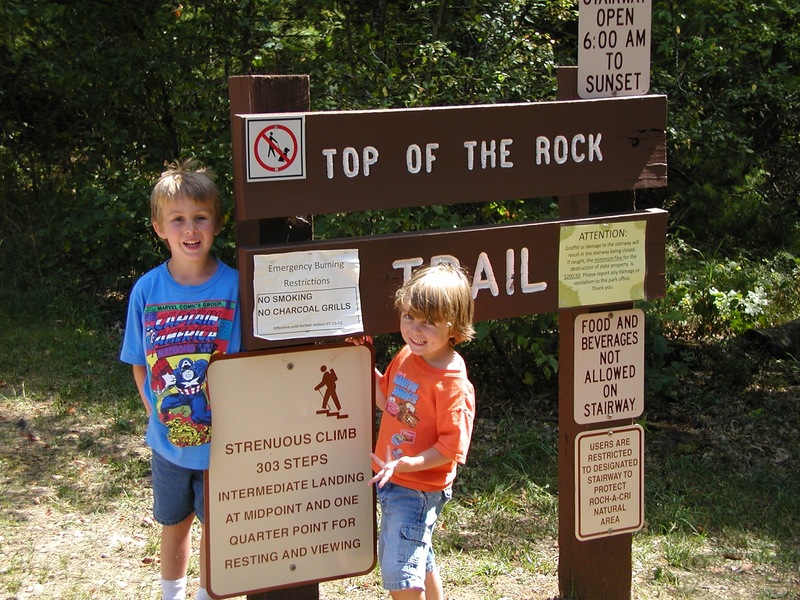 Interestingly, on the south side of Roche-A-Cri are numerous prehistoric Indian and more recent petroglyphs and pictographs. 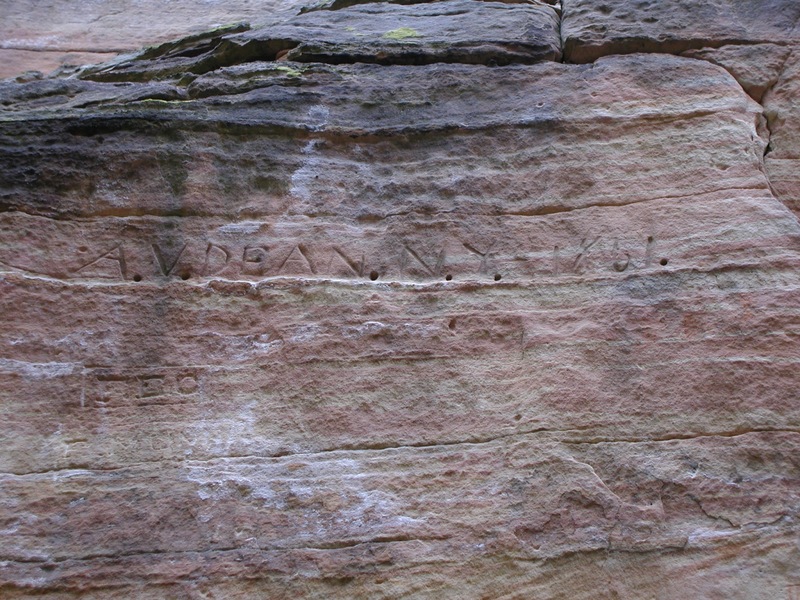 An example is found in the picture below, the inscription says: A.V. 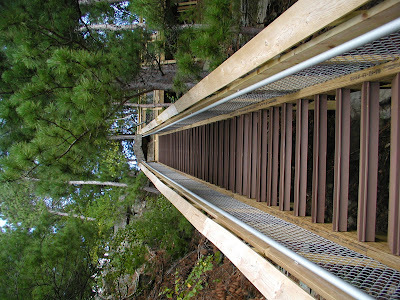 Dean. N.Y. 1861.